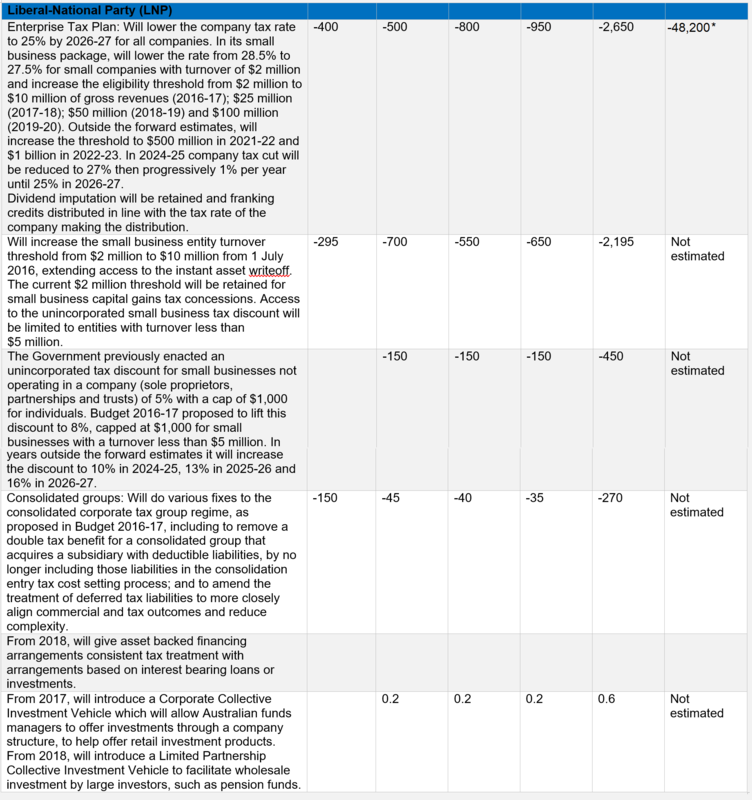 This Election Brief summarises the key tax policies, costings and revenue estimates of the incumbent Liberal-National Coalition (LNP) Government, the Australian Labor Party (ALP), and the Australian Greens, announced before or during the election campaign. It benchmarks the tax policies against the original aspirations of the Henry Tax Review and against the fiscal challenges identified in the Pre-Election Fiscal Outlook Statement issued jointly by the Secretaries of Treasury and Finance (PEFO). These parties’ policies have been presented because they are the ones which are most likely to form a government, or to have an influence on government policy, after the election. They are also the parties with the most comprehensive tax policies to compare. As explained in Part I, the parties have presented tax policies that will have an immediate effect for this electoral cycle and across the usual 4 year Medium Term Expenditure Framework (forward estimates) used in the annual budget. They have also presented policies whose effect will be felt mainly in the future. Tax policies such as the LNP’s proposed company tax cut, or the ALP’s proposed tightening of negative gearing and capital gains tax, have fiscal costs and revenues estimated for 10 years into the future. The focus on the longer term is positive but it makes estimating fiscal costs and benefits, and predicting other effects such as on jobs, growth or the housing market, extremely difficult for both experts and the electorate. The primary goal of taxes is to raise revenue for government. We summarised the economic and social challenges for Australia – and for tax reform – in our 2015 Stocktake Report. We identified two fundamental concerns about the Australian economy: a lack of productivity growth; and the need to stimulate non-mining investment as the mining investment boom wound down. We also suggested the following principles for tax reform: (1) efficiency – to generate and sustain economic prosperity and wellbeing; (2) fairness, including distributive justice and addressing inequality; and (3) resilience of our tax/transfer system – including keeping administrative and compliance costs of the system low and ensuring its stability in the longer term. Resilience has come to the fore as the uncertainty of the global economy in future becomes increasingly apparent, highlighted by recent international events, such as Brexit. This basic Recommendation remains the best guide for tax reform for Australia in future. Fiscal costings in the Tables are presented per year; over the 4 year forward estimates period; and over the 10 year medium term, where parties have published this information. The Tables follow the convention of the federal Budget (Revenue measures) and the Parliamentary Budget Office (PBO) party policy costings. A positive number for the fiscal impact indicates an increase in revenue or a decrease in expenditure (with a positive impact on the fiscal balance). A negative number indicates less tax, a decrease in revenue, or an increase in expenditure (with a negative impact on the fiscal balance). 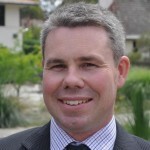 Policies and costings were recorded up to 28 June 2016, from political parties’ campaign websites and pamphlets, public releases of PBO costings and, in the case of the incumbent LNP Government, from the information about policy commitments presented in the 2016 Federal Budget of 3 May 2016. The policies and costings are summarised in Tables 1 and 2, below. The Tables can be downloaded as a PDF, and include hyperlinks to the original source, or sources. 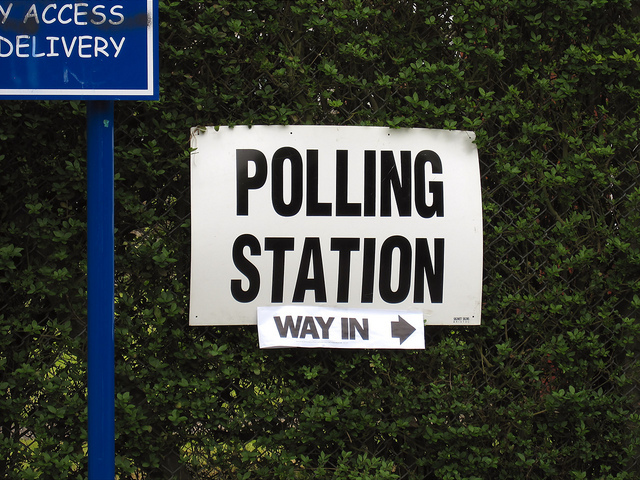 The links were current during the election campaign, but, as is the nature of party campaign websites, some may change or be removed after the election. The LNP plan to reduce the company tax rate from 30% to 25% over 10 years is a major point of difference between the parties. As noted above, little of the fiscal cost is shown over the forward estimates period. A lower tax rate of 27.5% will be initially only available to companies with a turnover under $2 million, with the threshold gradually increasing over time. Company tax is a relatively large share of revenue in Australia today, raising $70 billion, or about 17% of total government revenue (all levels) (ABS 2013-14 Taxation Statistics) or 19% of Commonwealth revenues. 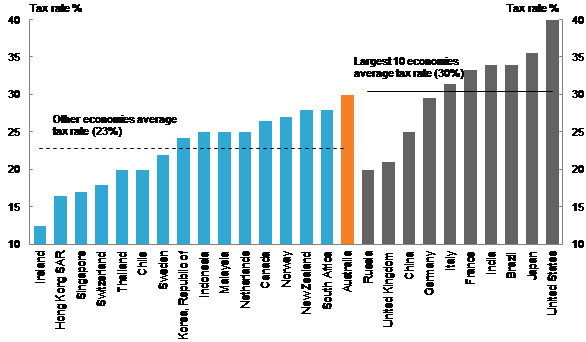 We raise just over 5% of GDP from corporate tax compared to the OECD average of just under 3% of GDP or 8.5% of revenues (Chart 5.3 p76). 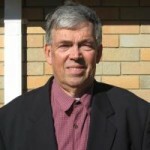 A key difference between Australia’s company tax system and that of most other countries (except New Zealand, and to a limited extent Canada), is the imputation system by which a credit is delivered to shareholders on distribution of taxed company profit. 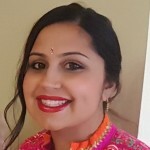 This system means that for companies with Australian taxed profits and Australian resident shareholders, the company tax system acts largely as a withholding mechanism for the personal income tax system. Company tax applies mostly to retained or reinvested profits, and to the foreign investor in Australian companies. 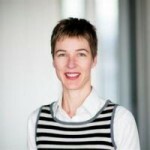 The imputation system also creates an incentive for companies with Australian shareholders (including individuals and superannuation funds) to pay tax in Australia, one important reason why the Australian company tax collects so much more revenue than in other countries. Formal costings are not produced for the years beyond the forward estimates. Treasury secretary John Fraser last month told a Senate hearing two key measures would cost $48.2 billion over the 10 year medium term. The ALP has released a costing of $51 billion over the same period, prepared by the PBO. There is of course a permanent revenue loss from the tax cut. It is estimated by the Treasury and in other company tax modelling that about half of the revenue foregone is recouped through higher tax collections on profits and wages as a result of economic growth and reduced profit shifting. The assumptions and analysis have been the subject of significant debate, as has the economic merits of the tax cut in general. Source: Re:think Discussion Paper Chart 5.2. Only New Zealand and Canada also have a dividend imputation system. This table containing link to references and notes can be found here. 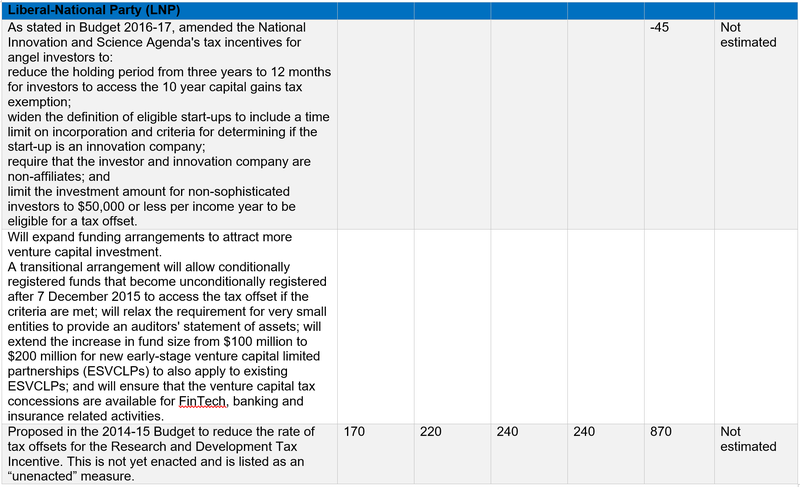 In December 2015, Prime Minister Turnbull released the Government’s Innovation Statement which proposed some tax incentives for investment in startup businesses. Most of the proposals in that Statement were included in Budget 2016-17 and legislated just prior to the election being called. 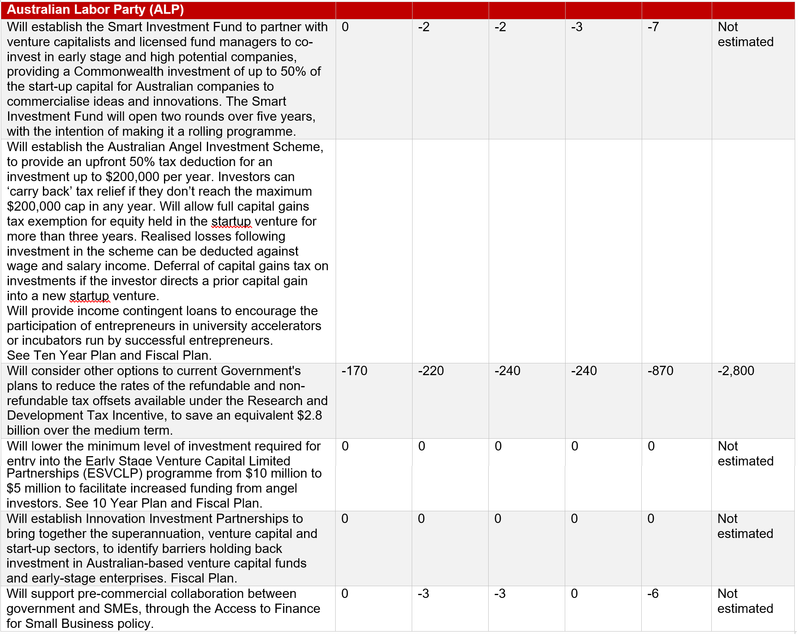 The ALP also has a substantial innovation package and while some details are different, it is unlikely to unwind the already legislated measures for startup and venture capital investment. The Greens have a range of innovation measures. This Table summarises only the tax-related and direct subsidy measures of each party. There is cross-party support to tighten the corporate and international tax rules to limit base erosion and profit shifting (BEPS) by large multinational enterprises (over $1 billion global turnover). 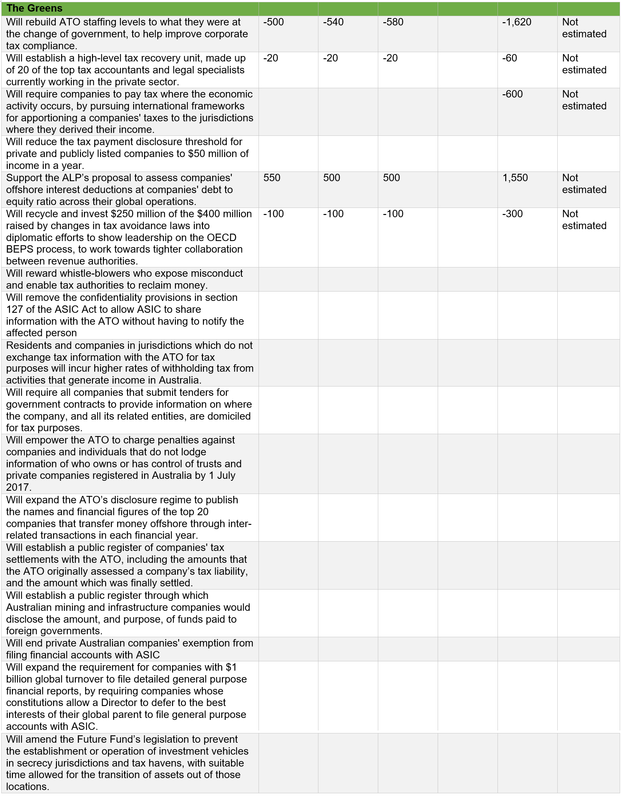 The main measures proposed by the LNP are anti-abuse rules that aim to ensure that adequate profits are allocated to the Australian business operations of large multinationals, building on the already-enacted multinational anti-avoidance law which deem a business presence in Australia and will capture large companies such as Google and Apple. Other measures propose to limit the deductibility of interest in multinational enterprises and tightening rules against transfer pricing. Some revenue gain is estimated from these measures, albeit limited. Other measures with cross-party support include increased transparency (the Greens and ALP support greater public transparency of company tax than the LNP) and more funds for the Australian Tax Office to support enforcement of company tax. These measures are generally consistent with international engagement in the OECD Action Plan to address Base Erosion and Profit Shifting. * Items marked indicate savings or spending relative to the other main party platform, but not relative to the usual budget baseline of ‘no policy change’. We have included these because they convey useful information, but this caveat should be borne in mind.